1, 2 or 3 day fly fishing guiding or tuition. 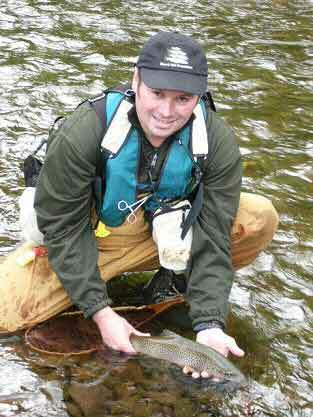 Guided fly fishing for wild brown trout or grayling. Accomodation arranged for you from a B&B or pub to a 5 star hotel. Gift vouchers are available for all of our services. Longer trips Contact us for a quotation. All gift vouchers are sent out by first class mail. To redeem vouchers, the recipient is asked to call the office to book convenient dates and we do the rest ! If you are interested in a gift voucher tailored to your individual requirements please call to discuss your preferences.